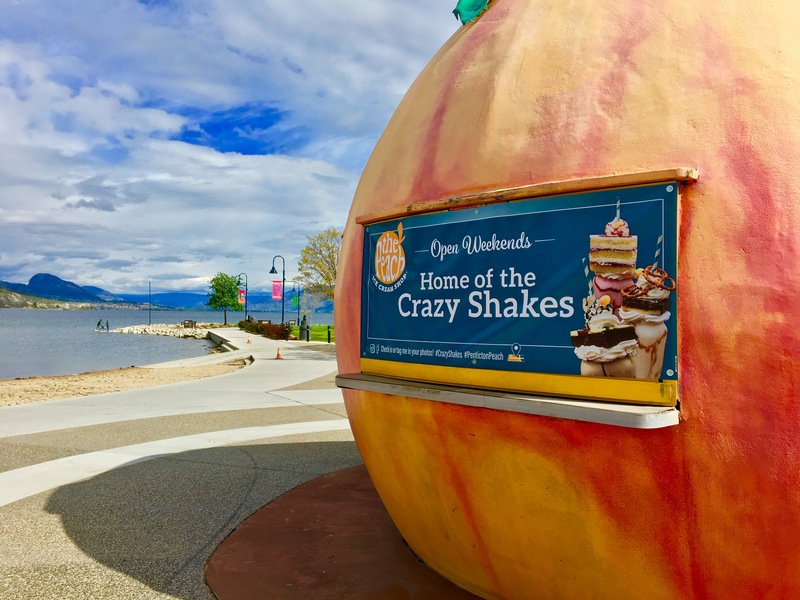 You can call me Giant Peach or Penticton Peach, or if we’re really good friends, you can call me Peachy. Just don’t call me Grape. I have 3 favourite pastimes: Making people laugh, taking selfies with YOU, and serving outrageous + delicious treats. Summer’s a busy time for me, but this past year I kept myself active entertaining the locals. Scroll down to see some of my Insta-Shenanigans or follow me on Instagram! When you come to visit me + the PEACH BUMS, make sure to CHECK-IN or TAG me in your photos. I’d like to make sure you’ve captured my good side – I’ll let you guess which side that is – wink wink. Thank you for a fun filled 2018!